The war between law enforcement and encryption is far from over by the look of things. 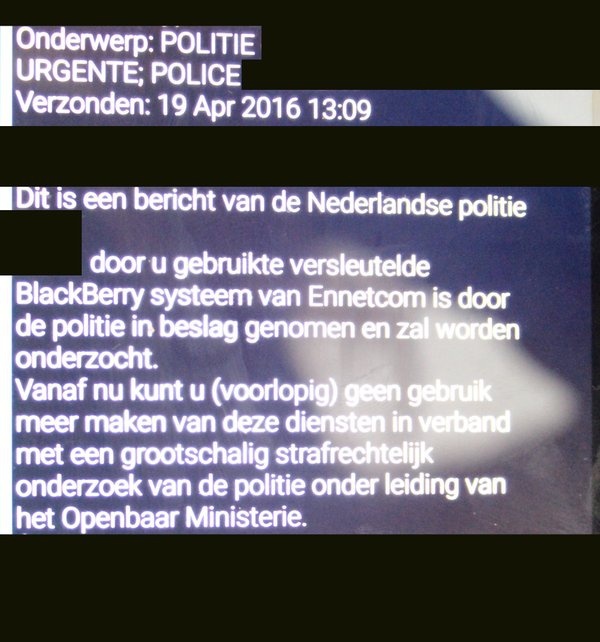 Yesterday afternoon, the Dutch police and government officials shut down a communication network using PGP encryption. According to the official statement, this system was used by criminals, although it remains to be seen whether or not his is the case. With all of the recent focus on governments trying to break consumer encryption to prevent “terrorist attacks”, it only seems normal people are starting to take their privacy more seriously. This creates new business opportunities for companies as well, as one company – called Ennetcom – located in Nijmegen, The Netherlands, started selling smartphones which supported PGP encryption for all communication. Additionally, several new communication networks have been created based on PGP encryption, allowing users to communicate freely with each other. This has been a thorn in the eye of the Dutch government for quite some time now, as they strongly feel such platforms facilitate criminal activity. The smartphone company used their servers for this type of encrypted communication, keeping all information safe from prying government eyes. However, it didn’t take all that long for law enforcement to dig deeper into these servers, and they have – allegedly – uncovered a substantial amount of information related to criminal activity. Moreover, law enforcement officials claim this PGP encryption service had over 19,000 registered users, all of whom have been notified regarding the pending police investigation. To make matters even more enticing, the Ennetcom company owner – who sold these PGP encryption devices for up to 1,500 EUR each – has been arrested and money laundering claims have been made against him. At the time of writing, no further details were released to the public regarding these allegations. What we do know is how the Dutch law enforcement collaborated with the Toronto Police to shut down this PGP-encrypted network. One of the servers was located in Canada and has been taken offline by Canadian officials. It appears these efforts were part of the ongoing “war’ against Blackberry users who keep their communication encrypted. Just last week, news broke how Canadian law enforcement agencies acquired a BlackBerry master key to decrypt ping-to-ping messaging. What are your thoughts on these actions by law enforcement to shut down encrypted communication networks? Let us know in the comments below! The post Law Enforcement Shuts Down Blackberry PGP Communication Network appeared first on Bitcoinist.net.